2 What is management accounting? CIMA is the world’s largest and leading professional body of management accountants. CIMA has 203,000 members and students in 173 countries. By becoming a CIMA member you will join the world’s largest professional body of management accountants. You will be able to use the Chartered Global Management Accountant (CGMA) designation and be part of a truly global network. The CGMA designation is powered by two of the world’s leading accounting bodies – CIMA and AICPA. It aims to establish management accounting as the most valued profession in business worldwide. The Certificate in Business Accounting is entry level accounting qualification for students with little or no accounting background. The CIMA Certificate in Business Accounting offers a grounding in the basics of management accounting, financial accounting and business, and forms the basis of the CIMA Professional Qualification. The Professional Qualification encourages step by step development of finance and business knowledge and the skills required by today’s businesses. Students who complete the CIMA Professional Qualification progress to full CIMA membership, becoming become Chartered Global Management Accountants with the designatory letters ACMA and CGMA. There are five papers at this level and all must be passed before you can proceed to the professional qualification. 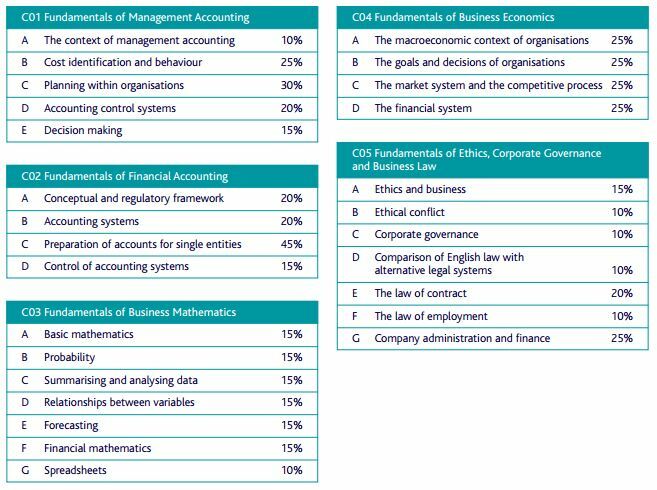 On completion you will be awarded the CIMA Certificate in Business Accounting. Exemptions to this level are available on the basis of your existing qualification. If you have completed your bachelors degree then in all probability you will get an exemption from all subjects in this level. You will need to pay fees for availing exemption in each subject. approved assessment centres using computer based assessment (CBA) methodology. Registered CIMA students may sit the examinations in any order and at any time of the year. candidate scores 50% or more. Each subject examination will be two hours. There will be a written examination paper of three hours, plus 20 minutes of pre-examination question paper reading time. You need a minimum of three years’ relevant work based practical experience before becoming a Chartered Global Management Accountant (ACMA, CGMA). Experience may be drawn from any of the following three areas over a period of 3 years or more (but a minimum of 18 months must be gained within the core area). Relevant experience gained before registering as a student will also count. The professional gateway route is an accelerated entry route to CIMA open to members and passed finalists of particular professional bodies. Institute of Chartered Accountants of India is eligible under this route. This route requires you to sit a three-hour exam held in May and November each year. It assesses your knowledge of the material covered in the management level of the CIMA Professional Qualification. Once you have passed you will be awarded the CIMA Advanced Diploma in Management Accounting and be granted exemptions from all certificate, operational and management level exams in CIMA Professional Qualification. Once you pass the assessment, you can then enter the CIMA professional qualification at the strategic level. If you complete CIMA in three years and pass every exam on the first attempt, it will cost around GBP1,350 or approx. Rs. 1,35,000 (based on 2013 exam fees). You also need to take into account the cost of study materials and any tuition classes you enrol in.